Garbage disposal repair is not exactly rocket science, but if you don’t have the patience and the right tools it can be a frustrating undertaking. So why don’t you leave this job to the professionals? We can repair your overload problems, clogs and jams. Our services in Dallas County, Colling, Denton, Kaufman, Rockwall, Texas, are available whenever you need help. 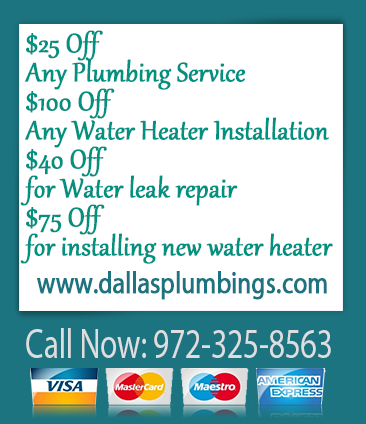 Our plumbers always try to help you repair appliances in your home to help you save money. We don’t always recommend replacement unless it is cost-effective to do so. If you are spending time learning how to install a garbage disposal, we have the skills, the tools and the manpower to do this work for you conveniently. If you have a clogged garbage disposal don’t get frustrated as this is a fairly common problem. Is your overflowing kitchen sink starting to be a health hazard due to odor? Your plunger may not be effective in clearing this drainage issue. Our plumbers will handle this problem fast even if it means opening up the drains in order to unclog the system. Replacing a toilet is not a walk in the park. It is a tedious and messy job that you should leave alone and let the experts handle it. We know how to get it done well and install several of these a day. We also have specialized tools that help speed up the job. Your waste disposal unit is one of the most important means of keeping your home clean. If you have to throw your leftover food in the trash especially over the weekend when garbage is not collected, you could spoil the environment in your home. 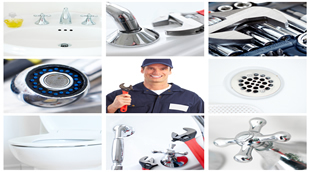 Our plumbers will make the necessary repairs and get your unit operating as new. If the garbage disposal leaking is the issue, they will stops these leaks or recommend replacing the device.